Houston firm offers new rental options which reflect the fun and excitement of a carnival. The rides are great for school, church or camp events. 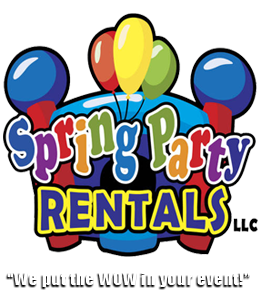 Spring Party Rentals is pleased to announce that they have added to their inventory. The selection of carnival rides in Houston is larger than ever before, and includes some items not found anywhere else. With several mechanical ride rentals to choose from, the personnel at Spring Party Rentals are sure that their experience and dedication to service and quality will help to craft a one-of-a-kind event. The company wants to make sure that each guest will walk away with lifelong memories of the event. The X-Treme Wrecking Ball is a crowd favorite in Houston, TX. Planners who want to step up the carnival theme of the next gathering can take it to the extreme with the mechanical wrecking ball ride. It is one of the company’s most popular carnival rides. Up to a dozen, riders will begin to slowly swing back and forth, then the swinging will begin to accelerate, giving the rider the ride of their life. The ride is great fun for ages six and up.